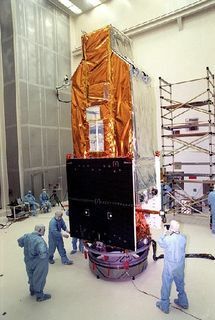 The FUSE Space Telescope (FUSE: Far Ultraviolet Spectroscopic Explorer) was sent into orbit in 1999. The satellite, which weighs 1,360 kilograms, was designed to last three years. It was the result of a collaborative effort between the United States, Canada and France. John Hutchings, an astronomer from the Herzberg Institute of Astrophysics, is Canada’s project scientist. 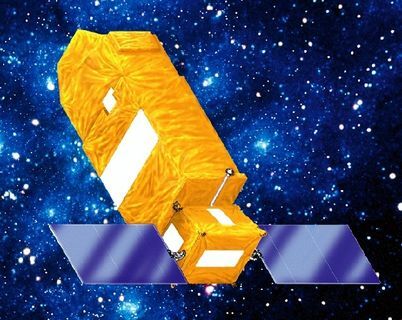 As the name would suggest, FUSE is an observatory with a mission to study distant sources of ultraviolet radiation, specifically in the range of 9 to 12 millionths of a centimetre. This portion of the electromagnetic spectrum has been little studied up to this point, mainly because the ozone layer in Earth’s atmosphere absorbs most of the ultraviolet rays that arrive from space. Ultraviolet light is also particularly difficult to collect. It becomes increasingly difficult for a mirror to reflect light at very short wavelengths because the waves tend to “slide” between the atoms of the reflecting surface. X-rays, which are found immediately after ultraviolet rays in the electromagnetic spectrum, have such short wavelengths that they pass right through objects (of course this is also the very property that makes them so useful in medicine). The FUSE Space Telescope consists of four mirrors specially designed for reflecting ultraviolet light. Two mirrors are coated with silicon carbide, whereas the other two are coated with lithium fluoride over aluminum. 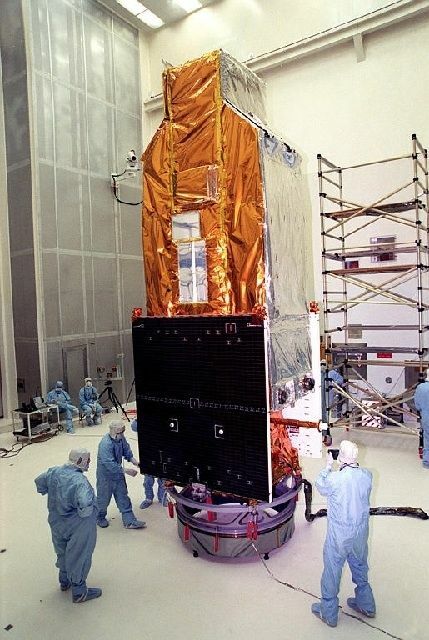 The FUSE Observatory is 10,000 times more sensitive than the Copernicus satellite (1972-1981), which was the last satellite to observe the sky in ultraviolet light. The Canadian contribution consists of two fine guidance sensors that allow the space observatory to be aimed at its targets with a very high degree of precision. This contribution guarantees Canada at least 5% of the available observation time. The primary mission for FUSE is to analyse the amount of deuterium (“heavy” hydrogen) in the Universe in order to better understand the activity of stars since the Big Bang. The amount of deuterium has been continually decreasing since the formation of the Universe as the nuclear processes in stars destroy it. The observatory is also used for other research projects. In 2000, for example, the telescope was used to discover an explosion involving thousands of stars has left a colossal halo of burning gas the shape of a football extending up to 5,000 to 10,000 light-years above and below the Milky Way. In 2007, the last inertial flywheel of the telescope failed, making any accurate pointing of FUSE impossible. Officials then had no choice but to terminate a mission that has already achieved great success. John Barrie Hutchings explains what FUSE is. FUSE is the Far Ultraviolet Spectroscopic Explorer. It is a telescope that is in orbit, and it's designed specifically to do spectroscopy at very short far-ultraviolet wavelengths. It is a unique facility because it can look at wavelengths way beyond what can be done with the Hubble Telescope. It is a very specialized area of the spectrum, but it is also the richest part of the spectrum. In this part, from 900 to 1200 angstrom wavelengths, you see the lines from the hottest and most common elements that we know about – particularly the line series of hydrogen – and there are literally hundreds of lines from the interstellar medium. So, it is a very powerful region of the spectrum and this is a telescope that enables us to study it in all its richness.